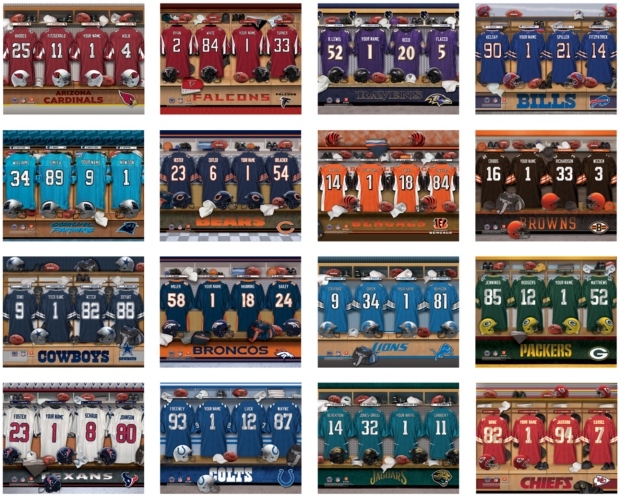 * The print features four NFL jerseys hanging up in a locker room, and each canvas can be selected to feature the recipient's favorite NFL team. 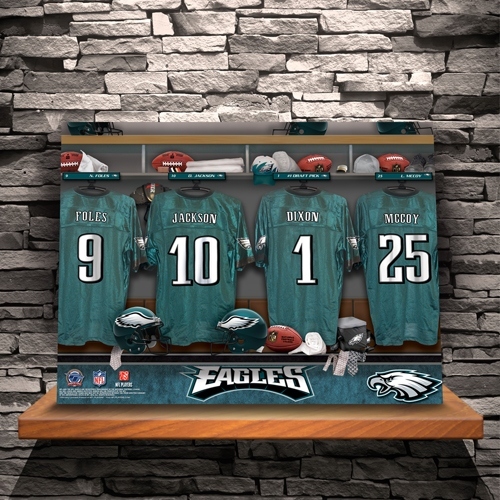 * You'll find that three of the jerseys feature some of the best players on the team while the final jersey allows for personalization. * One of the jerseys can be personalized with up to 12 characters, providing plenty of room for the gift recipient's first or last name. 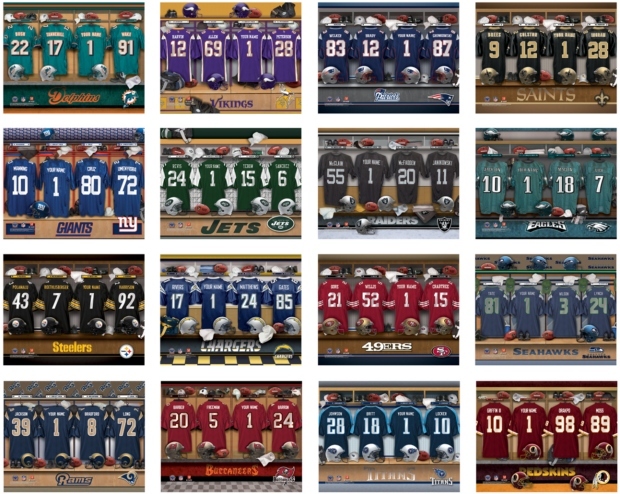 * All NFL teams are available to feature on the NFL Locker Room Canvas. * Accompanying Jersey names subject to change.